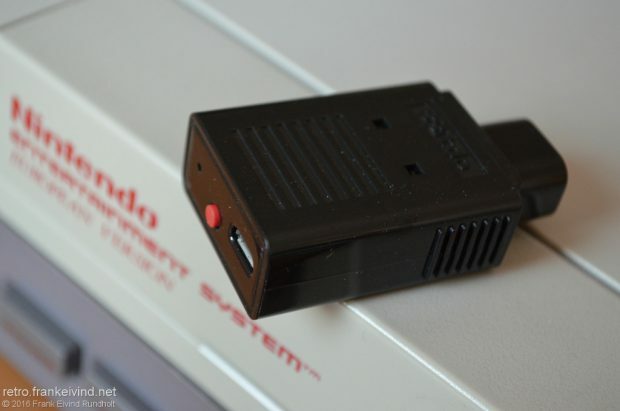 Back in the day, Nintendo released the NES Satellite for wireless infrared gameplay on the grey 8 bit box. Technology have moved on since 1989 and wireless gaming on the NES is back with the Retro Receiver from 8bitdo. 8bitdo, famous for their retro bluetooth controllers, and Analogue (who have remade the NES console) have partnered up to make the Retro Receiver which is sold exclusive on Play-Asia [affiliate-link] for US$19.99. Before you start using the Retro Receiver, you should download the software from 8bitdo website and update the firmware of the device if nessecary. I didn’t do that at first, so I had some problems. The update fixed that. The Retro Receiver is only 5.5 cm long. Some may say it’s big enough. Just plug it into the controller port and you’re ready to go. Synching is easy. Just press the red button on Retro Receiver and the synch-button one of the supported bluetooth controllers and they pair up. I tested both a Wii Mote and the Wii U Pro controller. They both worked fine. 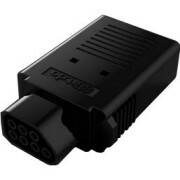 Retro Receiver also support the 8bitdo controllers and PS3 and PS4 controllers. Synching a PS3 controller is a bit more work, since you have to connect both to a PC and use the downloaded softare for synching. Sitting back on your couch, with no wiress and playing the NES is a breese. There is no lags as far as I can tell. 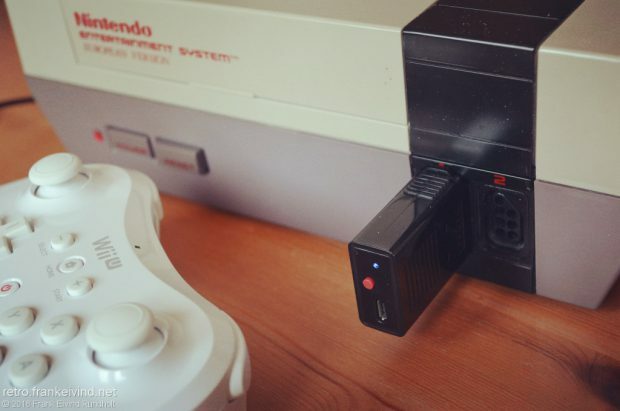 The great thing is that the Retro Receiver has a micro-usb port, so you can also connect it to a PC or Mac. I used the Wii U Pro controller to test remote play from Xbox One on my Windows 10 PC, and that worked like a charm. The Retro Receiver will not only work on an original NES, but also on the Retron 5 and Retro Freak consoles. So if you fancy wireless gaming, I can highly recommand the Retro Receiver from 8bitdo. It does what it supposed to do, and it does it very well. Reviewcode on Steam by GamingPR.biz. Atari was big in the 70’s and the beginning of the 80’s when the videogames started to show up in the arcades and homes. This reflect the many titles you find in Atari Vault compilation. Even if you haven’t played Pong, Asteroids, Centipede or Missile Command in the arcades, these are known games you probably have come a cross on a console or two throu the decades. Atari Vault hit Steam in March and contain 100 Atari games. 18 of them are arcade titles, the rest is games for the Atari 2600. The games are wrapped in nice menus where you find the arcade titles and Atari 2600 in two seperate views. The arcade games are shown with their 3D arcade cabinets. The games are not played in fullscreen, but zoomet in so you the cabinet graphics surround the playscreen. The Atari 2600 titles are shown with their gameboxes and you can read the game manual for each game. Sadly, they are scanned in low resolution and you can also see compression artifacts. I used the keyboard for most of the games I testet, and mostly it works OK. But had some problemes in some of the games. Some of the games also have mouse support, but that didn’t quite work well either. It’s also possible to connect a controller, but I didn’t test that. 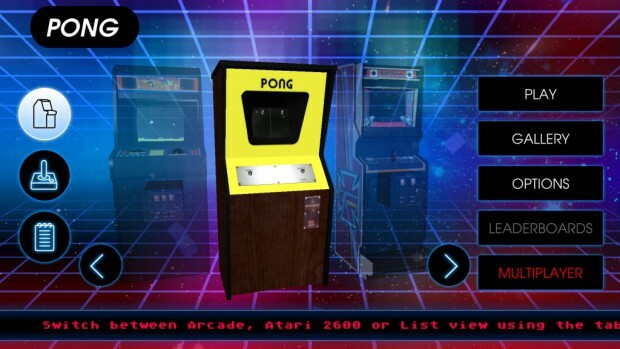 With the exeption of Pong, all the arcade games support leaderboards on the internet. It’s also possible to play all the arcade games as multiplayer over internet. Some of the Atari 2600 games support that too. To bad that you have to check each and every game if there are someone that wants to play online. It would have been much easier if you could just check a lobby and join a free game there. With blocky graphics and pling-plong sound, the Atari Vault have lot of good games from the 70’s and 80’s. Even though many of the games can be found on other compilations for consoles or in the form of a Atari Flashback plug’n-play console, some people do like to play on PC only. Atari Vault is the game compilation for those who want to relive their childhood or just want to check out a great piece of gaming history. There are some thing that could have been done better in this compilation. But in all, you will enjoy this compilation and probably discover some games you never heard of. I know I did. 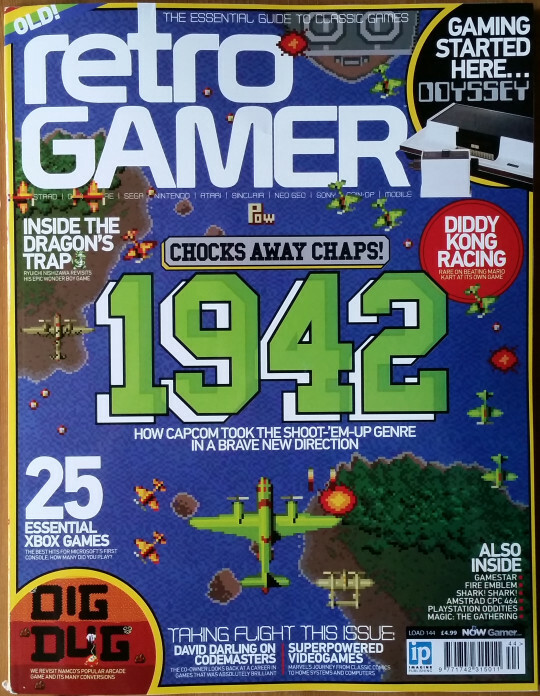 You can get back issues of Retro Gamer from Imagineshop.co.uk. Super Mario Bros. was one of the the first games I’ve played on the Nintendo NES. But when it was released in Europe in 1987, the game was already two years old. 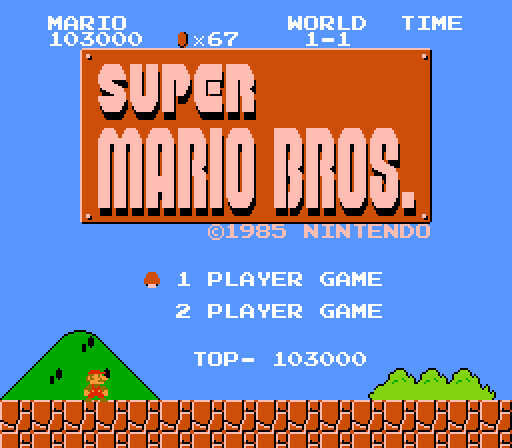 Super Mario Bros. was released on the Famincom in Japan on September 13, 1985. I’ve many fond memories from this game, which I’ve played for nearly 30 years. Level 1-1 is a classic. Mario gets his first red mushroom so I grows big. He get the Fire Flower and can through fireballs. He gets the Super Star which makes him invincible for a number of seconds. He can jump into a pipe and go underground hunting for coins. You also find the first 1 up-mushroom in Level 1-1. But you might not find it on the first playthrough. You find it jumping up in the air after a pipe, and a block materialized out of nowhere and green mushroom pops out. Your first extra life. It’s here you think that there might be other secrets in the game too. It was very fun to discover the Warps Zone for the first time in Level 1-2. Her you can warp to World 2, 3 or 4. And then you heard from some about the Minus World. It can’t be true, and for a long time you thought that it was a myth. It took me years to see that for myself. The first levels is a breeze, but it can get frustrating when you enter the last castle running and running and running until you find the right path. Princesse Toadstool is always in another castle! Super Mario Bros. was a great sucesse for Nintendo. The game sold 40 million copies. It was fun to play Super Mario Bros. as a child. And 30 years later, it still is as a crownup. 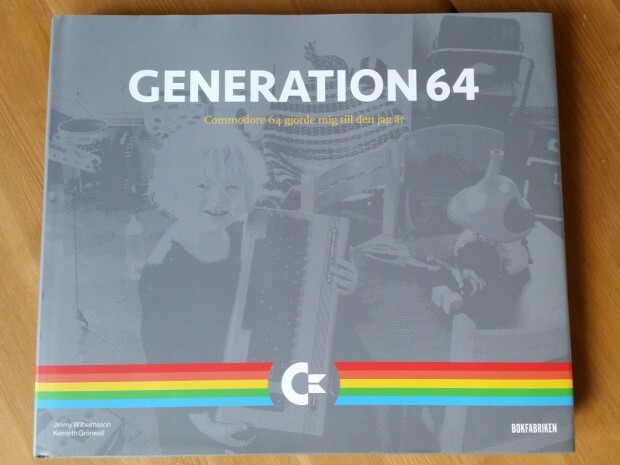 You should support the Kickstarter for translation of the Swedish book Generation 64. This is a great book and it’s about the Commodore 64 and how it influenced Swedish gamers in the 80’s. The Kickstarter run until August 4, and at the time of writting (12 days to go) it’s only £4000 short of being funded. 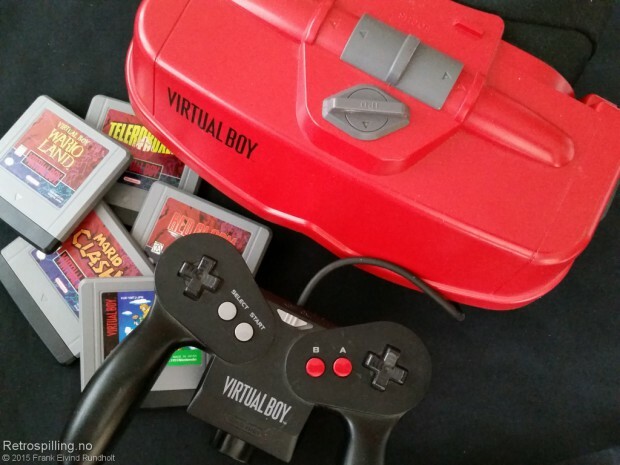 The Virtual Boy might be the black sheep of the Nintendo console-family, but it is an impress hardware. 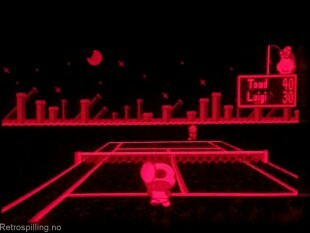 And it’s easy to see why Nintendo wantet to make Virtual Boy. The early 90’s was the years of VR. Gunpei Yokoi was the VR-man of Nintendo. He’s best known for making Game&Watch, Game Boy and the D-pad. The hardware Yokoi made, was first known as VR-32, but change to Virtual Boy when it was released. It has pretty could specs, a 32-bit RISC processor (NEC V810) running at 20 MHz. And a resolution of 384 x 224, but it only use a read monochrome palette. 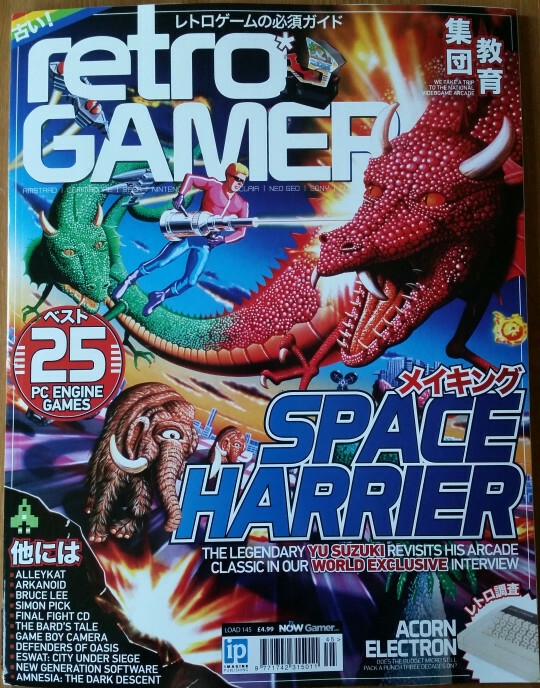 Acodring to Nintendo Power #75, the red LEDs was chosen because it was cheapest and best. If Nintendo had gone for colour LEDs, the Virtual Boy would have been a lot more expencive. The unit it self is quite big and heavy and it sits on a dualpod. I’ve read that people have got headaches while playing. I haven’t experienced that. So it’s no wonder that every game has a auto pause function. The controller sits very good in my hands. It have a D-pad on both left and right side, a Start, Select, A and B button and a L and R on the backside. It also have the power button and the six AA-batteries is placed under the controller. What realy surprised me, was the sound. It almost feels like the sound surrounds you while you play. 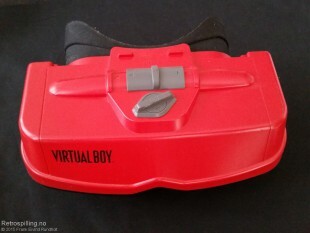 Only 22 games where released for the Virtual Boy in its short life. 19 games in Japan and 14 in USA. So it should be no problem to collect them all. 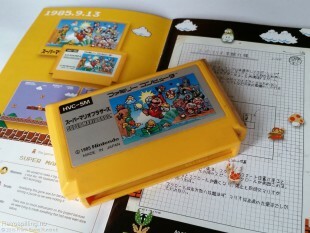 While most of the games can be bought pretty cheap, Space Invader will easily cost you $600+. I have 1/3 of the games. And do have som favourites. Mario’s Tennis is an OK game. While you can get super smashes and bonuses in later Mario Tennis-games, Mario’s Tennis game is all about tennis. The game was also a packin in USA. Mario Clash is a 3D edition of the arcade game Mario Bros. It’s a fun an entertaining game. But my all time favourite i Virtual Boy Wario Land. It’s a very good platform game. There is a link port on the console, but it was never used since no official link cable was released, and therefor no game supported it. With less than 800 000 units sold, Virtual Boy was no commercial success. Virtual Boy was released in Japan on July 21, 1995 and in the US on August 14. Only a half year later, Virtual Boy was discontinues in Japan on December 22, and lastet until March 1996 in the US. Virtual Boy never saw the light in Europe. I can only speculate, but I think the name confused the audience. 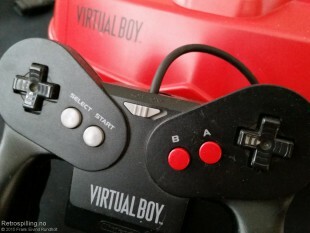 In name, Virtual Boy is very close to Game Boy, and people might assume that it also was a portable console. Which it wasn’t. Nintendo said that the Virtual Boy was the newest in Virtual Reality. Something it really wasn’t. It had 3D (which works well), but there was no form of tracking head movements. Another factor was the price. For a lot of people, it was way to high. At the US launch, the Virtual Boy was $180. And I think Nintendo didn’t communicate that well what the console really was. I think it’s great to have a Virtual Boy in my collection and I love some of the games. But I guess that my expectations for the console is not the same that Nintendo once made the people thing it was back in ’95. Chris Wilkins is back with a new book on Kickstarter, this time it’s a book about the C64: The story of the Commodore 64 in pixels. He have previously made books about the ZX Spectrum and Ocean. I have them all, and they are great books. So I guess it’s safe to say that this will also be good. In The story of the Commodore 64 in pixels you will get presentations /mini reviews of many great C64 games, the story of Commodore 64, games that where released on cartridge, the SID chip and interview with people that made games for the C64 back in the 80’ies. I allready own a couple of books about the C64, but they all have a different approach. So this book will be a great addition. The Kickstarter is allready founded and run until August 12. In a short pressrelease, Nintendo of Japan announced that Satoru Iwata, the president and CEO at Nintendo of Japan, died on Saturday July 11 due to cancer (bile duct growth). Satoru Iwata (1959-2015) started his carrier in HAL Laboratory. He became president at HAL in 1993 and worked there until 2000, when he startet at Nintendo. 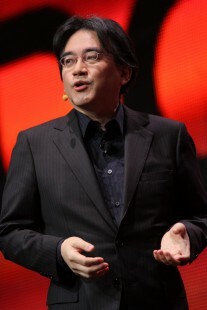 Two years later, 2002, he became the president and CEO at Nintendo of Japan. He have work on a lot of different games, among others Balloon Fight, EarthBound, The Legend of Zelda, Mario and Animal Crossing. A lot of you will remember Satoru Iwata from the Nintendo Direct-videos over the last years. The Internet more or less exploded today when news about the Nintendo PlayStation surfaced. I learned aout it first on nintendolife.com. 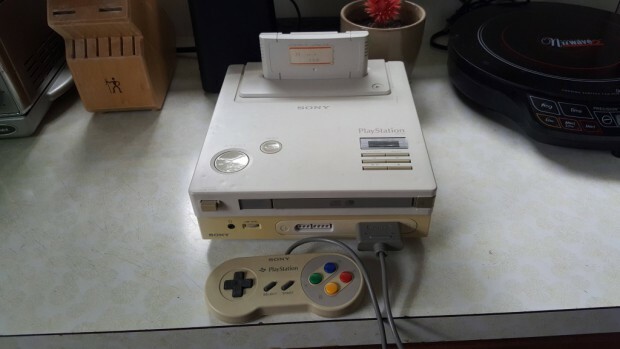 This might very well be a prototype of the Nintendo PlayStation, all though some think it’s a fake. The real story is that Nintendo and Sony started to work together in 1988. Sony was supposed to make a CD-ROM attatchment to the Super Nintendo, and they announced the PlayStation on CES in 1991. But Nintendo backstabbed them brutaly the day after, announcing that they where now working with Philips. We all know how that worked out. Philips made the not so good CD-i with not so good Zelda and Mario games. Sony on the other hand released the Playstation (with a lowercase s) in 1994, and that work out real well.